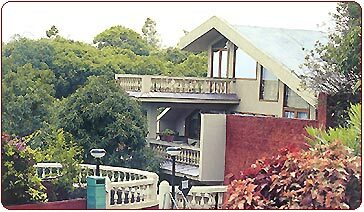 Perched on a mountain cliff in pristine surroundings at a distance of 5 kms from market. Air-conditioned & NON AC Cottage type rooms & Apartments with CCTV, Channeled music. Rooms with a clear view of the Krishna river. Air-conditioned restaurant multicuisine Veg & Non Veg delicacies. Direct dialing telephones in the room. Swimming pool, Disco, Health club. The Master Bedroom has a lily pond with fish skirting its border. The personal Jacuzzi, also with a full-length glass window and a view of the valley, takes you to paradise, while you take a most relaxing massage. The Upper Bedroom is perched at the highest point of the hotel property. Enjoy the best views of the valley while relaxing on your bed. Or better still, a 270 deg. view of the whole valley from the balcony. The Lotus Suite is truely a one of a kind luxury experience. The one you will not forget. Standard amenities include a DVD Player with your own collection of movies, a well stocked refrigerator, a dry fruit chest and a choice of indoor or outdoor dining areas All rooms have personal televisions and attached Toilets / Baths. The Lotus Suite also offers personalised Room Sevice. 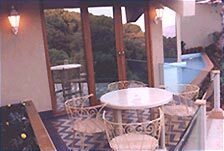 The suite occupies a total (Open / Garden) area of 2350 sq. ft.(215 sq. mts). -Luxury Tax : 10% extra. -Weekdays : Monday to Thursday 25% discount on applicable tariff. Package includes all taxes, bed Tea, breakfast, food Credit of Rs.4000/- per room and on 10th November 2007 night / 24th December 2007 night Gala dinner and entertainment programmes.